← Can you help officers investigating a robbery on the border of Addlestone and New Haw? 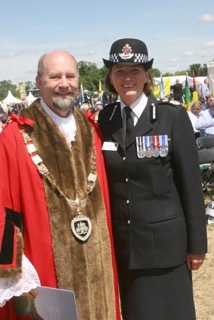 Did you miss the Magna Carta 800th celebrations? 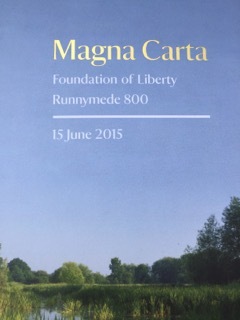 If you missed the Magna Carta celebrations here in Runnymede may I offer you a taste of what happened and why it is important to you? 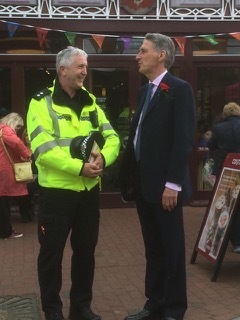 Firstly Magna Carta was 800 on Monday June the 15th 2015 and for you free men and women it means you cannot be arrested by the police without cause, nor can your possessions be arbitrarily seized. 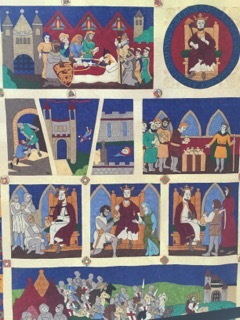 A panel from an amazing tapestry celebrating Freedom. It included in its terms that even the monarch is subject to the law. Magna Carta was the first document to be entered into England’s record of laws. It has ‘travelled’ overseas and is reflected in the United States constitution and the constitutions of over another 100 states. 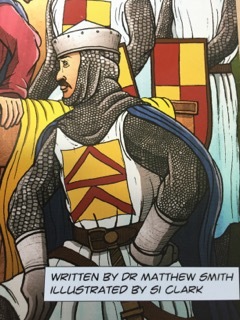 The Great Charter has been superseded in many ways by more modern laws and few of its clauses remain on our statue books but it still influences us all – without Magna Carta it is unlikely that the United Nations Universal Declaration of Human Rights (1948) would have the same significance that it holds today. Runnymede held 3 days of events. 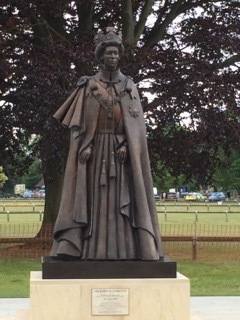 In Egham Town “Magna Carta Day”, which is held annually by the townsfolk and included a concert at St Johns parish church and fireworks at Strodes College. 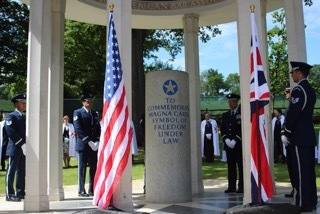 And finally the State Occasion attended by Her Majesty the Queen and the rededication of the American Bar Association memorial to Magna Carta. If you want to lean more about MC try Coursera’s free course in conjunction with Royal Holloway, our own university, for free – but hurry the course starts NOW! Royal Holloway University of London Freedom and protest: Magna Carta and its legacies with Dr Emm Johnstone, Dr Graham Smith, Professor Justin Champion, Professor Nigel Saul & Professor Jonathan Phillips. 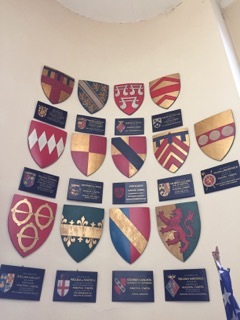 This entry was posted in Community Groups, Egham, Englefield Green, Events, Magna carta, RHUL, Royal Holloway, Runnymede Borough Council, Runnymede Police, Safer Runnymede, Spot Light, Surrey County Council, Surrey Fire and Rescue, university, Youth and tagged 800th., Constitution, Coursera, Egham, Egham Library, magna carta, State Occasion, The Queen. Bookmark the permalink. 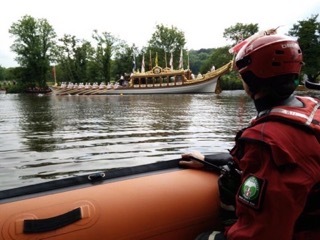 2 Responses to Did you miss the Magna Carta 800th celebrations? Proud to call Runnymede my home!